What’s an advantage private school pupils may have over state school pupils, come graduation time? Debating experience and a lot of interview coaching, says Stephen Twigg, shadow education secretary. 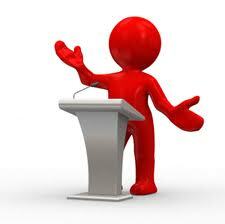 He says public speaking should be a formal part of the national curriculum. Read about his proposal, which he hopes will help level the odds for all young job-seekers, here.